KKCenterHK has some pretty nifty nail patches. The first kind I tried didn't seem to work well on my nails, but these are much better! These are basically very thin plastic strips. Most nail patches I've tried that are not actual nail polish have been kind of thick and tend to wrinkle because of the curved shape of some of my nails (if you want to see what I'm talking about, check here). These are different in that they are very thin and flexible, as well as a bit stretchy. They worked MUCH better for me than the others (although still not quite as nice as 100% nail polish strips). As you can see in the closeup, I got a few tiny wrinkles on some of the nails, but honestly I got better at it with each nail I did, stretching it just perfectly to minimize the crinkles. 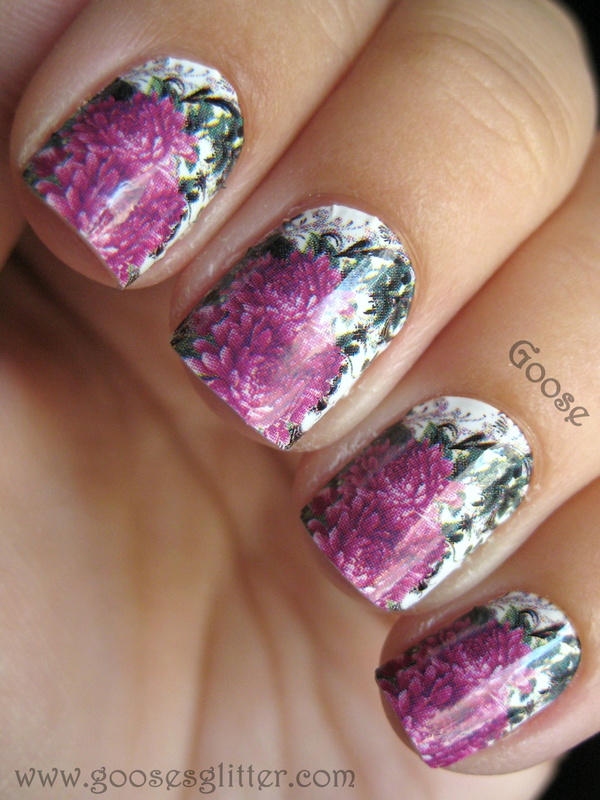 Just like the 100% nail polish strips, these take a little bit of practice. Overall, though, they're pretty easy and the result is nice. I didn't get a chance to test the wear - I only wore them for a day. The problem came in the shower... one and only one of the stickers started to peel up on all the edges. The rest were still stuck nice and tight. I'm not sure what I did differently on that finger, maybe I accidentally touched it and ruined the adhesive before I applied it. Not sure. They were easy to remove though. They peeled off easily without doing any damage, and left the adhesive as a film on the nails that came off right away with polish remover. As you can see, they come in a sealed package like Incoco, but since these aren't nail polish I don't think they dry out after they're opened. I'm saving the extras for accent nails, so I'll update this post when I find out. Overall, I actually really liked these! The design is nice (although I wish the little "tail" of black had fit onto my nails), and they'd be perfect for a special occasion or night out. 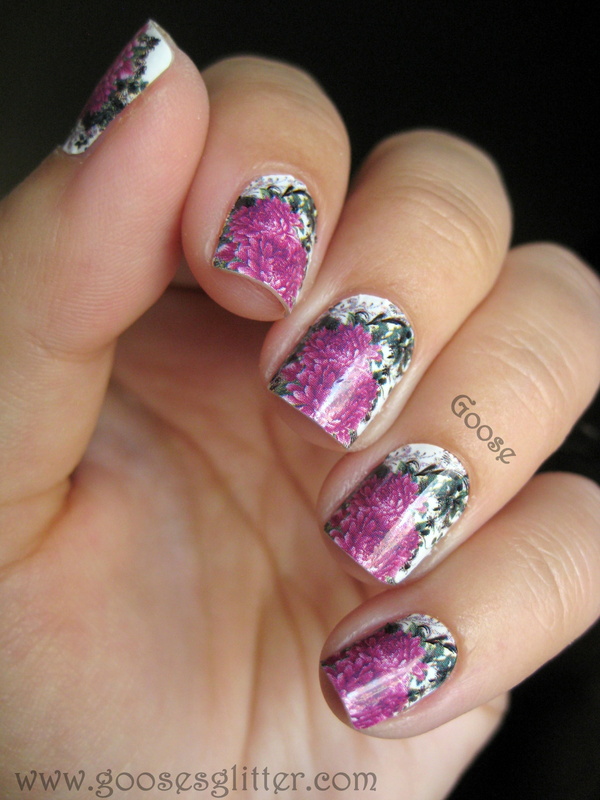 They were much easier to manage than other nail patches and didn't bother me with rough or peeling edges. These can be ordered from the KKCenterHK site here, along with lots of other cool nail patches! 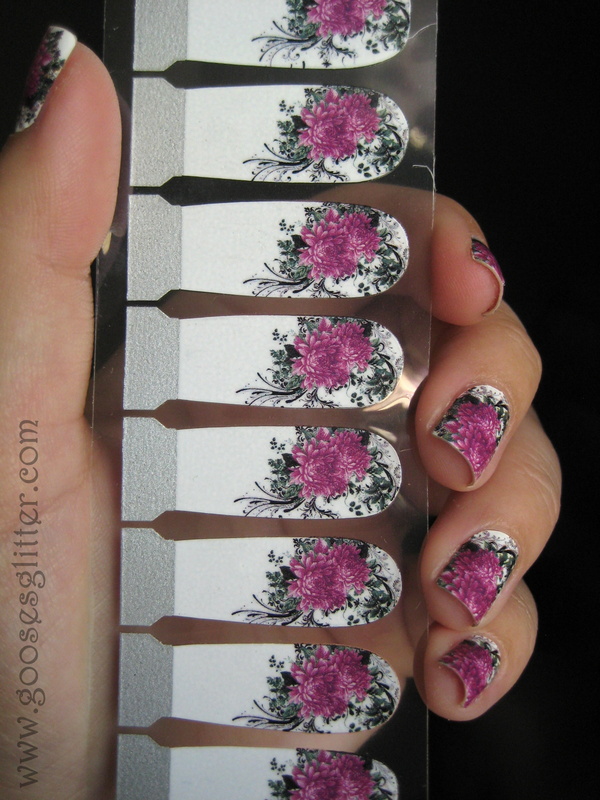 I'm waiting to get some of these strips too, these are really pretty! These look gorgeous, and I don't see any wrinkles despite peering at my screen. They must be quite small! For these nail patches, did you have to file off the excess edges? Yeah, I just used my normal glass file to separate the excess. They were incredibly easy to file and had no rough edges. Those are amazing. I checked out their site, and they have a ton I'd love to try. Thanks for sharing!